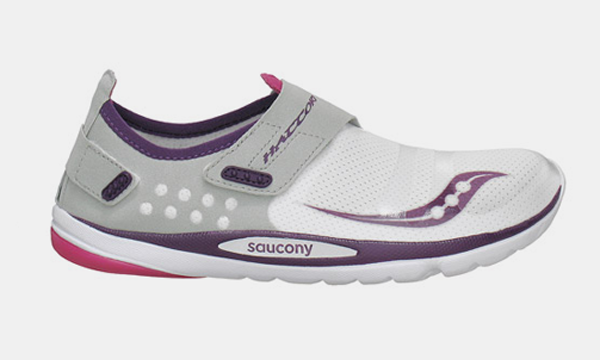 Saucony's spanking new Hattori sneaker ($80) is their lightest shoe yet (3.8oz). It wears like a mitten to give your toes room to do what they naturally want to do, like arching and gripping. The Hattori sole is designed for impact cushioning but I'm mostly sold on the futuristic design. These running shoes will definitely earn you lots of double-takes on the run path.